My daughter and her husband got new bikes and wanted to go for a ride along the Canal. It was a bit chilly, but nice. Willow, galenernest, Arcane and 3 others like this. I rode to Gig Harbor along the water and had a turkey and bacon sandwich. What a nice freaking evening! And yeah, I know, bacon is toxic death. Mostly I don't eat it. But on a sandwich...it was yummy death. But the guy was like, "You want it with everything?" Yeah, love that little hamburger and teriyaki place. They rode out from Tacoma and were like "We want to go to that teriyaki/burger place we stopped at years back." 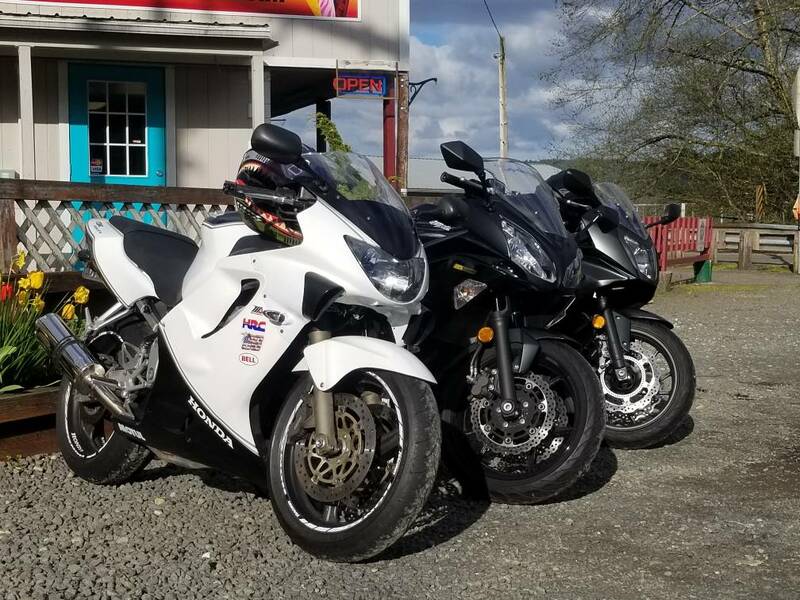 First time the three of us have ridden when we all have sport bikes. Last time we rode he still owned the F4 I have now, and she had her 250 Ninja. And I was riding the Harley. That was a run out to Carbonado and back. 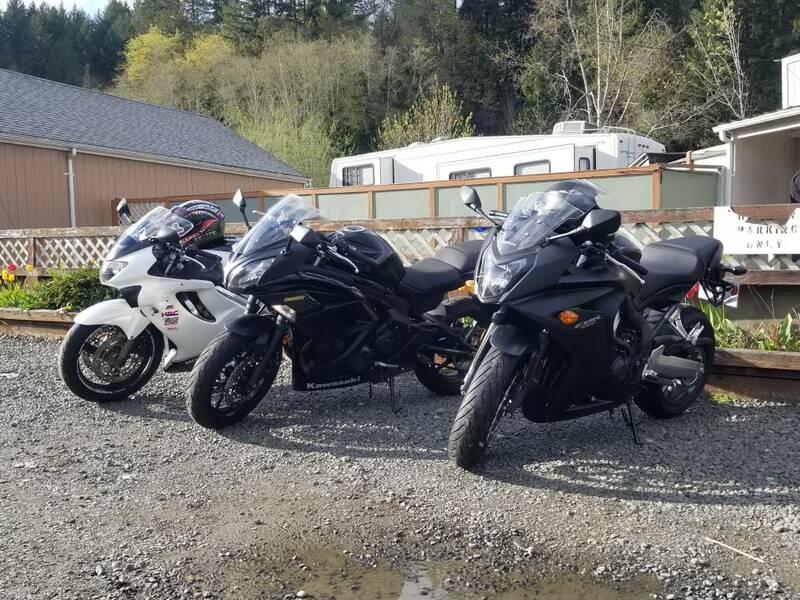 I find the more I ride the CBR the more I like it. Yeah, I still love the Harley, but the Honda feels more like "me". And yes, bacon is life. If you got it with avacado, that will negate alleged toxicity of the bacon. Great! What a great day for a ride, especially with family.